*** Double room for single use, package overcharge € 20. 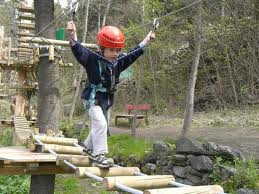 The "Adventure Park Val Borbera" offers ludic-didactic "adventure" courses, such as Tibetan bridges, pulleys within landscape-environmental paths, which are typical of the region. 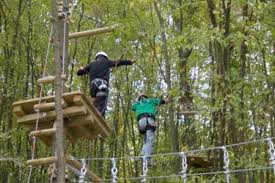 The adventure courses are for grown-ups and children that like exercising and being in the open air. The Park is to be found within a wedge created by the confluence of Sisola and Torbora streams. Serravalle Outlet is one of the largest European Outlets, with 180 shops, and houses an incomparable portfolio of prestigious brands. In Serravalle, you do not just shop, you live a unique shopping experience in exclusive boutiques, which overlook small paved squares and winding streets. A surprising path with the architectural suggestion of a town centre of the typical Ligurian village, immersed in the green of the hills. An emotion that cannot be given up, without the stress of traffic and with a thousand advantages. Comfort, elegance, convenience and quality within everybody's reach. In total harmony with the surrounding region, Serravalle Outlet also contributes to the knowledge of the historical and cultural heritage of the area. The Bolle Blu aquatic park is in Borghetto Borbera. It was opened in 1990 and covers a surface of about 50,000 sqm; the park offers the visitors with several aquatic attractions, which are suitable for the entire family and for all tastes. There, you can find: the swimming pool with waves, the rectangular 25m swimming-pool, the Jacuzzis and the river torrent, where you can swim against the stream. The most daredevils can have fun in the numerous slides at the aquatic park: the Multipista Foam, some Toboggan slides, the Kamikaze, the Twist and the “Trottola” (spinner). The park puts a baby swimming-pool at disposal, which has low water to have fun in totally safe conditions with children. The area is also equipped with a mini-slide, water and out-of-water games. The offer of the aquatic park is completed by lawns and the solarium area, where you can get tanned in full relax. During the day, funny entertainment is organised with music, as well as aqua-gym and aerobics lessons.